Girls do much better with support. When we introduced this support programme in 1996, the pass rate shot up from 5% to 95% where it has remained ever since! The programme includes daily homework help and regular liaison between our support teacher and the schools. 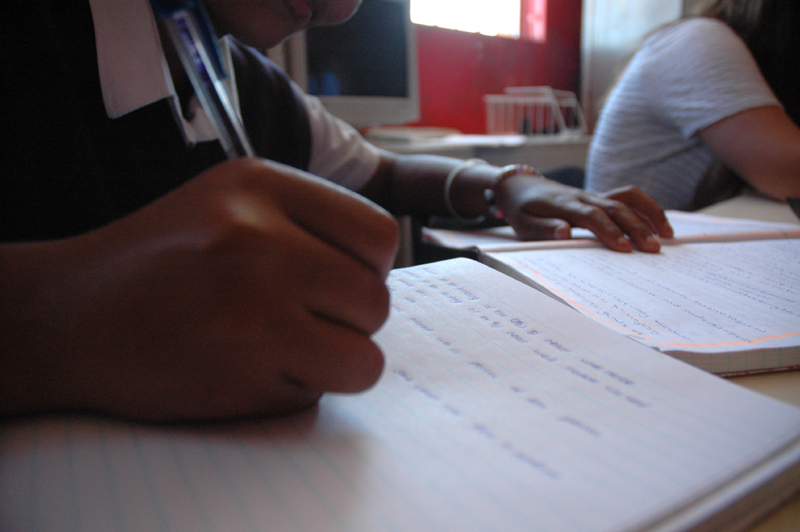 Girls attending formal education options from Ons Plek face a range of barriers to progress in their learning, including the language of instruction, attitudes of teachers, lack of facilities, emotional barriers, peer group problems and lack of previous guidance with homework. The aim of the homework support programme is to provide structured support to the girls in all aspects of their schooling. 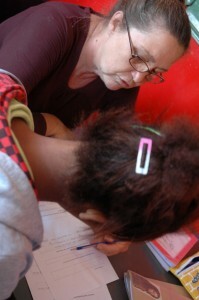 The vocational co-ordinator directly manages the work of support teacher and volunteers. 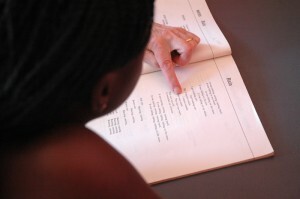 Wherever possible, within the range of other demands on their time, childcare staff members play an active teaching role in the daily homework time. The full staff member team including the director and social worker are consulted and involved as needed in the team approach. Somebody cares a lot about my homework. The support teacher is able to help girls when they experience difficulties with their homework and need some assistance. She helps the girls to understand concepts which they have not grasped, and helps them to use the knowledge they already have to complete their assignments. She guides them in searching for information. 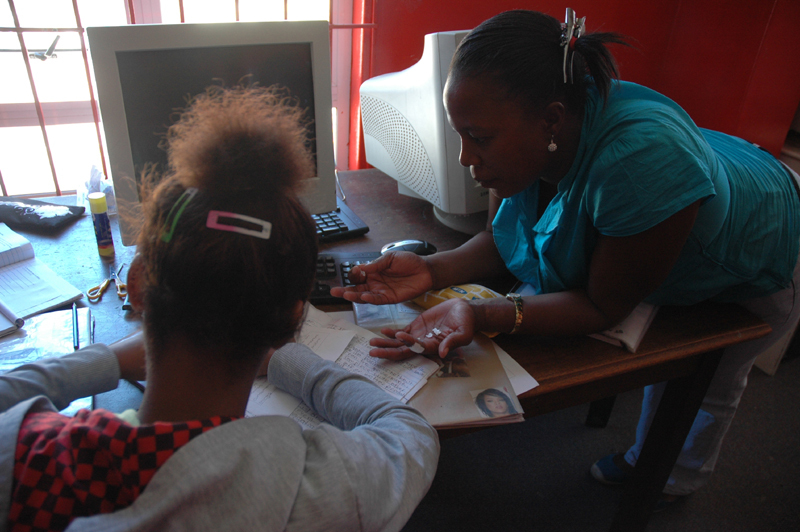 She assists the learners in gaining the study skills they need to make the best of the opportunities school offers. When a child is placed at home, childcare and education staff members provide follow up counselling and guidance to responsible family members and caregivers, in order to empower them in dealing with the child and the school. 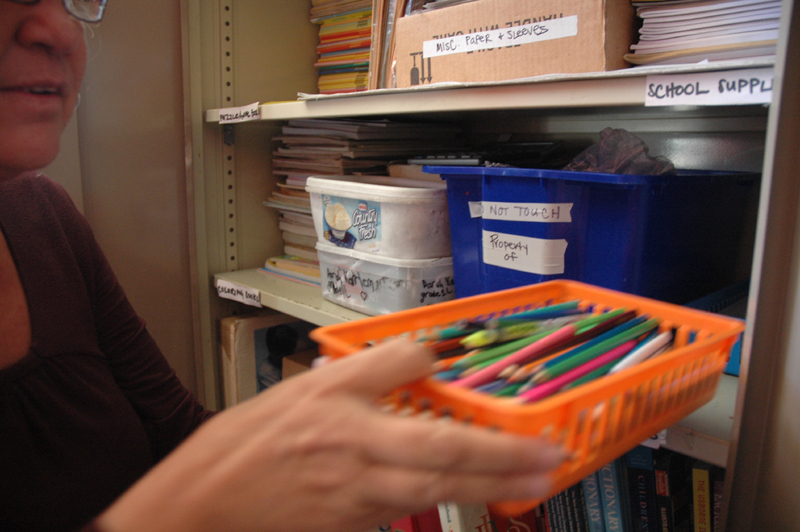 The support teacher maintains strong links with the schools through regular visits. Contact with the teachers is aimed at helping teachers understand the particular circumstances of each girl, which may be affecting their behaviour in the classroom and in their homework, and to build an alliance between Ons Plek and the teachers which creates the most positive environment for each girl’s educational development. In addition to the homework programme, the support teacher runs a holiday programme for girls who do not go home in the holidays. Activities include baking, candle making, interactive group work programmes, visits to museums with interesting activities, traditional African games, traditional African story telling sessions and beadwork. Other school support activities also include computer education, interactive drama, regular counselling and well-organised educational resources. We evaluate the work on an ongoing basis, introducing changes as they become needed and feasible. We encourage the girls in the programme to express themselves, and to bring concerns to education and childcare staff members. In this project, the most enduring and effective form of evaluation by the girls, is their continued or discontinued participation. 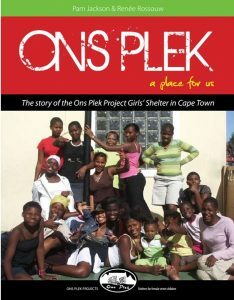 As in all aspects of Ons Plek’s work, girls vote with their feet. “Being with” – good child care work, and a good education principle. Steady, orderly, routine, well prepared, caring support makes all the difference.